"Well I think we have a lot of foes. I think the European Union is a foe, what they do to us in trade." The European Union (‘EU’) constitutes one of the biggest economies in the world. Since the signing of the treaty of Rome in 1957, the continuing European integration has been based on a spirit of furthering economic cooperation and intensifying trade between members states. The establishment of the Common Market in 1993 can be viewed as the biggest success in this regard. Despite political disputes in other areas, there was an underlying economic consensus that free movement of workers and goods benefits all participating member states. Consequently, the EU (and its predecessor the European Communities) has always been a strong advocate for free trade on a global level and played an important role in the establishment of the World Trade Organization (‘WTO’) in the 1990s. Recently, however, this consensus between member states has more and more fallen apart. The European finical crisis in the 2010s has created strong tensions within the Union causing the project of European integration to almost fall apart just within a few years. In the same context, rising nationalist tendencies in all member states have given momentum to attempts to dismantle the European economic integration. Brexit can be viewed as the dramatic climax of these developments. Just as the EU is facing its toughest internal crisis, there are unprecedented external challenges. President Trump openly accuses the European Union of unfair trade practices and threatens to engage in a full-on trade war. At the same time, China begins to play a more active role in the international trade system. Thus, the future of the rule-based world trade system under the umbrella of the WTO is more than uncertain. Moreover, as developing countries suffer from poverty, food shortages, and war migrants seek both refuge and economic opportunities in Europe. 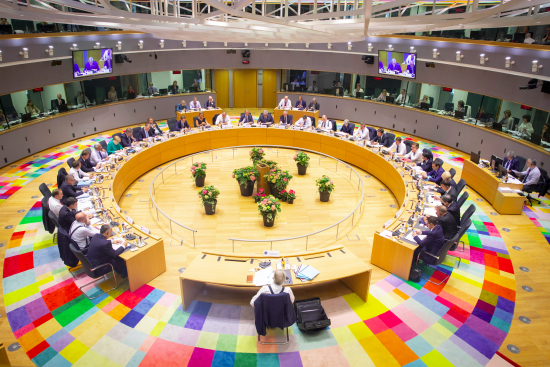 Delegates of the European Council will decide if the EU, despite its internal disputes, can once again find a consensus on Economic integration – both within the European Union and on a global level. Due to the high dynamic in this topic area, this committee will feature certain crisis elements: Certain live developments will occur during the conference and delegates will have react to them. As economic issues are closely connected to other policy areas, delegates must prepare to be confronted with a variety of issue areas such as migration or finance.